CBD is a stylish modern Mediterranean villa, the private house offers spacious and secure Luxury accommodation with the perfect location in the Heart of the trendy Camps Bay suburb. The house is ideal for families who is looking to relax. 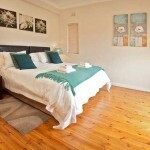 The Villa is situated 60 meters above the Atlantic Ocean and 10 minutes walk to the trendy Camps bay beach. The CBD has 3 most magnificent views that Cape Town has to offer. Panoramic view of the Atlantic Ocean, Table Mountain and the Twelve Apostles and Lion's head. 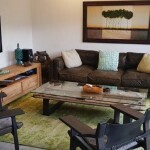 Stunning Two Bedroom Two bathroom self catering holiday apartment in Greenpoint. Newly renovated and exquisitely decorated, the look & feel is modern, stylish yet comfortable. Greenpoint offers our guest amazing restaurants, situated close to the V&A Waterfront, Greenpoint Stadium and a little further, breathtaking beaches. 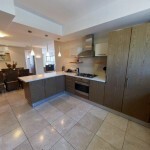 Welcome to this Two Bedroom Two Bathroom self catering apartment. The wooden balustrades & strip flooring have been wonderfully preserved, resulting in a stylish, modern block with a splendid Art Deco feel. The World famous V&A Waterfront close, offering fine dining & designer brands or just a gentle stroll & relaxation around the harbour. Live music & street performers, numerous boat trips, magnificent sunsets, spectacular views of Table Mountain & much more can be found at the V&A.